In addition to a wide selection of fine jewelry, Elebash’s has an extensive selection of fine gifts. Whether you are shopping for a new baby, birthday, graduation, wedding or anniversary, Elebash’s has the perfect gift for any occasion. 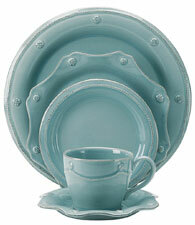 Elebash’s carries the most respected names in fine china, crystal and sterling flatware. Below are just a few of the designers you will find in our store. Elebash’s is the perfect place to register for gifts that will last a lifetime! Learn more.